Across the ages, Love has provided a constant theme to composers and songwriters. From choruses in Greek tradgey to the oral traditions of folksongs from all over the world, from opera to musical theatre, from parlour music to cabaret; and from the recital stage all the way to the Top 40, love is everywhere and we can't escape it. 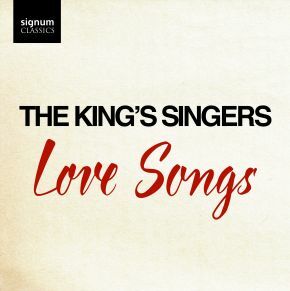 It's no surprise that The King's Singers have recorded a huge number of love songs on all kinds of albums over the last fifty years. This selection has been curated especially to celebrate some of their favourite recent albums, and to show how rich and varied the tapestry of love songs we have today is.